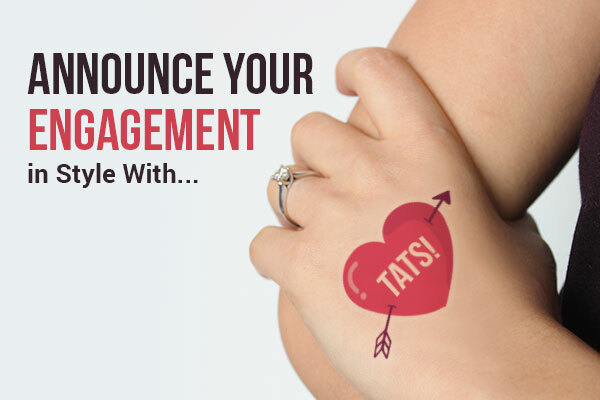 Announce Your Engagement in Style...with Tattoos! So the ring’s been bought and the big question has been popped, and finally you’re engaged (congrats)! Now it’s time to show off the new bling and find the best and most exciting way of sharing your news. 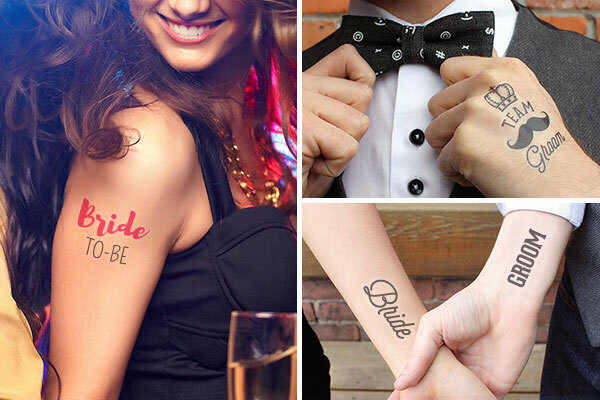 We’ve come up with a few cute and unique ways you can use temporary tattoos to announce your engagement to friends and family! For the Beyoncé fan in, let’s face it, all of us, a play on the classic ‘put a ring on it’ can be the perfect way to announce your exciting news. 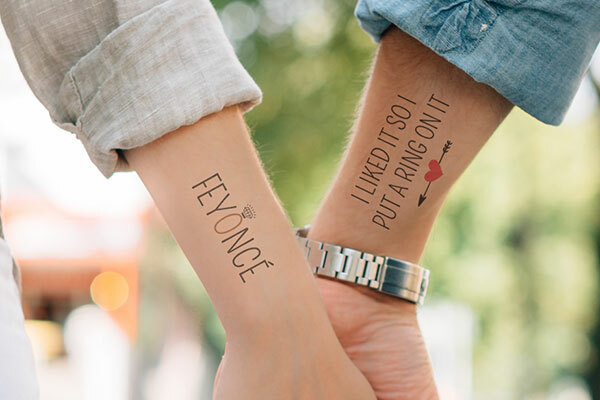 An Instagram post with your “I liked it so I put a ring on it” tattoo paired with a sassy “FEYONCÉ” tattoo on your partner shows both your love for each other and for Queen B. It you’re thinking of doing a simple and elegant photoshoot for your engagement announcement, you can add Bride and Groom tattoos to your hands or wrist for those sweet photos that show off the ring. You can also try make it into a game and wear the tattoos for a night out and see which of your friends are the first to notice. If you’re not looking to do a full engagement photoshoot, sharing a photo of your tattooed fist is a great way to share your news and showcase the new ring with a punch. 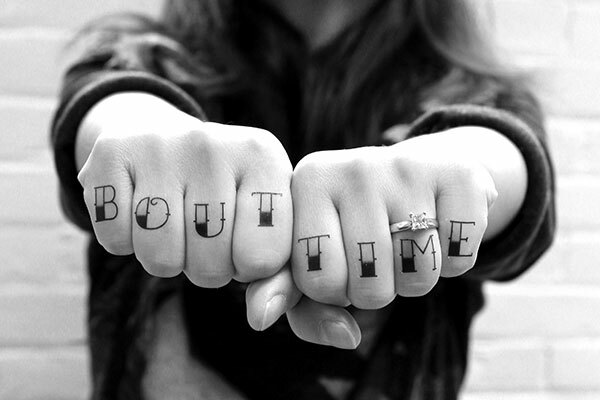 Messages like “Bout time” or “I said yes” fit perfectly on two fists, or if you both want to be in it, try fitting “Soon to be married!” across two sets of hands. Temporary tattoos can also be used by transferring them onto a glass or mug. 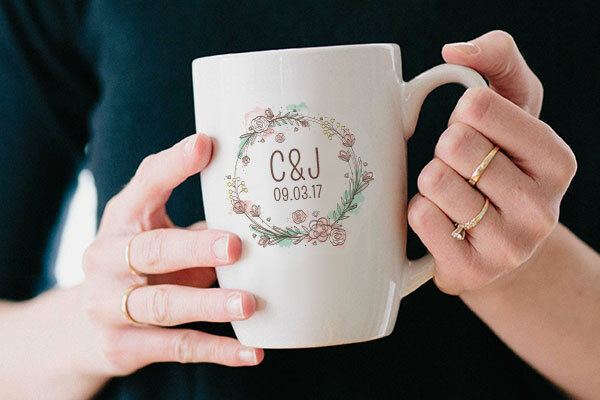 Grab a mason jar and announce your engagement with a custom designed transfer with both of your names, and the date of your engagement. You can also add a cute “happily ever after”, or “I said yes” message to a mug or mason jar. It’s a super simple and inexpensive way to announce your exciting news, and to top it off, you’re left with an awesome memento celebrating your engagement! Learn more about using tattoos to make glass transfers here. Congratulations again on your engagement! Once you’ve celebrated with friends and family, check out Ways To Pop The Question to your Bridesmaids and Wedding? Fun Ideas You'll Wish You Thought Of! for more creative ways of making your day extra special.